Description: Kill your enemies! 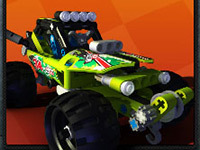 Upgrade your weapons and launch off into a 3-d race filled with turbo's, upgrades, guns, rockets, missiles and super fast multi colored jeeps!. 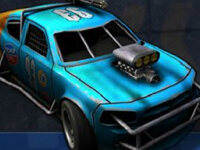 Deathracers is a Racing Games. Instructions: Arrow keys to drive and Space to activate special weapons..